This panel speaks both of joy in looking toward a new future and of the pain of so much previous loss. 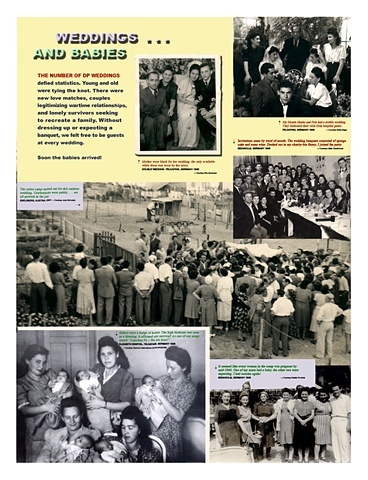 People met in the camps and new marriages were common and frequent, and many babies were born very quiclkly. It did not take much to make a party.